The cover of this book is just amazing. AMAZING! So I'm super excited to share this article all about it, including the author's own concepts. It's a really interesting read and lets you know the background to how the story itself comes along. The making of this book cover is pretty intrinsic to the actual novel, because I think I had an idea for the book cover in my mind before I even wrote the story. It was when I was watching Game of Thrones one day. It’s the first time I’ve ever been drawn into an epic fantasy world. I’ve always loved Sci-Fi and Fantasy, both in novels and on the screen, but I’ve never been a huge fan of the JRR Tolkien style stories. I liked the films, but I would never read the books. But as I was watching Game of Thrones, an idea for a story began to form in my mind. It was an idea based on the art I’d been seeing everywhere. 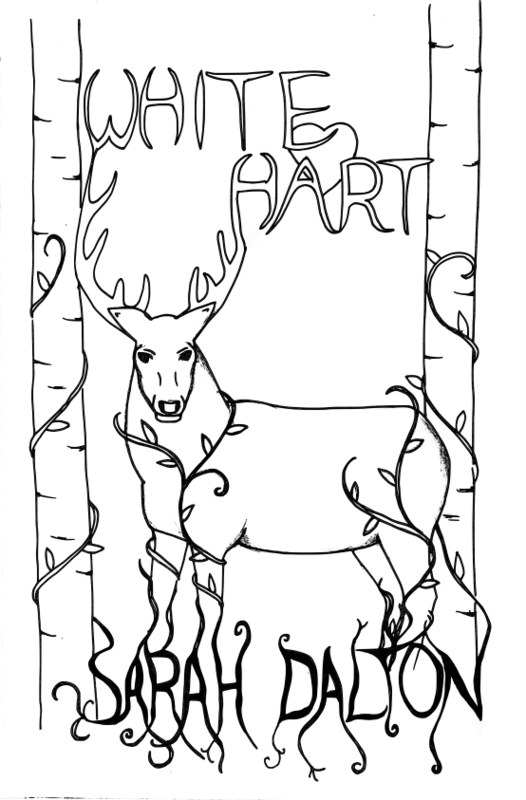 For some reason, antlers, deer, stags, and anything forest-y is really in right now. I see deer on clothes, on bags and purses, on birthday cards, in beautiful illustrations on Pinterest – just everywhere. And that’s when I had the idea about a girl riding a white stag. There wasn’t any other story. Just a girl and a white stag riding through a forest. In my mind, the book cover wove the title and the image together into a birthday-card-esque picture of prettiness, with this white stag standing proudly in a forest. I think if I hadn’t had that thought, I never would have written the novel. At first, I wanted to draw the cover myself. I’m not much on an artist, but I had a clear vision and figured that I could do it if I worked hard enough. So I spend some time sketching out designs. They weren’t awful, but I had to step back and put my business brain on. They looked too much like the illustration for a children’s book. Which is when I realised that I needed to hire a professional illustrator to take on the job. 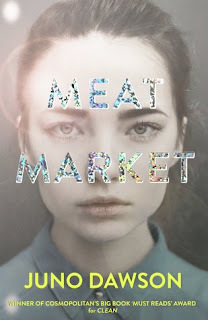 Rhianna Reeve wanted experience creating book covers, and when I saw her work, I jumped at the chance to hire her. She’s been great, listening to my ideas (which were pretty specific!) and creating the perfect cover for the series, one which has brought my original vision to life. 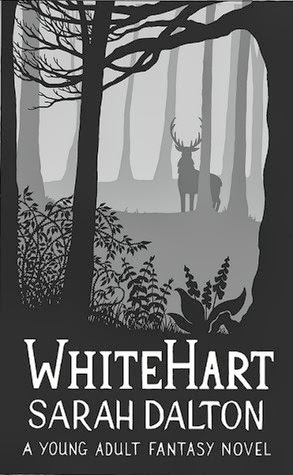 That shadow-y image of the stag waiting for you in the dark forest… that is what White Hart is about. There’s a literal, and figurative quality to the cover, and I love it very much! What a great idea for a post! It's weird how things inspire us sometimes - for me it was a capsicum once. Another time it was the phrase "strawberries and sausages." LOVE the progression of this cover - great story. I am going to add this book to my Want to Read list. And what you did with cover is awesome! I really like it!